Join us at the Safer Aquatics Outings Workshop! Learn how to make your field trips to local pools safer this summer. Hear about the NEW Mandatory requirements for all summer camps who will be visiting Collier County and City of Naples aquatic facilities. 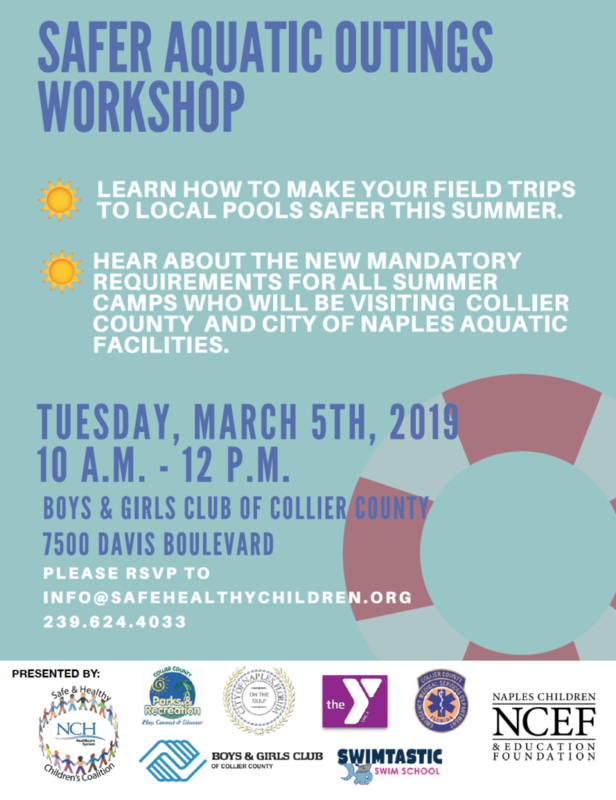 County and City Water Safety Protocols and check list for field trips to their aquatic facilities, What is a “Water Watcher,” How to Properly Fit a Life Jacket, CPR Demonstration and more.